The Gaslamp District in Downtown San Diego is a 16 1/2 block historical neighborhood. It is listed a historic district by the National Register of Historic Places with 94 structures listed as historically or architecturally significant . 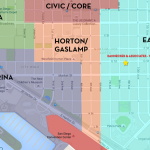 Extending from Broadway to Harbor Drive it includes more than 100 restaurants and night clubs, movie theaters, shops, galleries, offices, condos & lofts, this neighborhood has something for just about everyone. 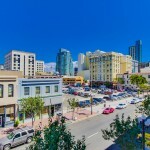 Its main period of development began in 1867, when Alonzo Horton bought the land in hopes of creating a new city center closer to the bay, and chose 5th Avenue as its main street. 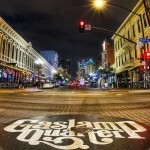 Now each year thousands of visitors fill the streets to take part in events like Mardi Gras, Taste of Gaslamp, Street Scenes, and ShamROCK. 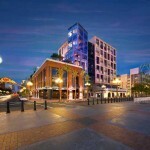 Horton Plaza is the center of downtown’s commercial activity and at the heart is the historic Balboa Theatre, one of the oldest performing arts venues in San Diego. 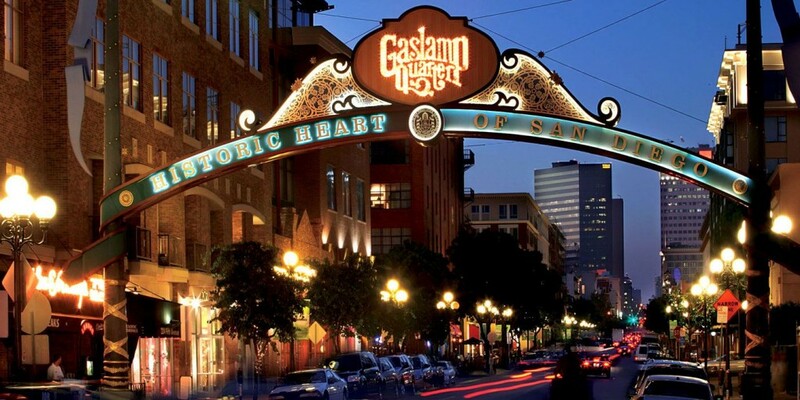 Give us a call at 619-618-2267 to help you find your dream Gaslamp District condo San Diego.